Israel cut the electricity it supplies to the Gaza Strip for the third day, honoring a request by PA leader Abbas. Israel cut the electricity it supplies to the Gaza Strip for the third day, honoring a request by Palestinian Authority Chairman Mahmoud Abbas. The cuts to Gaza City and southern Gaza were made Wednesday, amounting to a 30 percent cut over the past three days. Gaza residents are getting two to three hours of electricity per every 24 hours, the Palestinian Maan news agency reported Wednesday. Israel’s security cabinet decided last week to agree to the Abbas request. 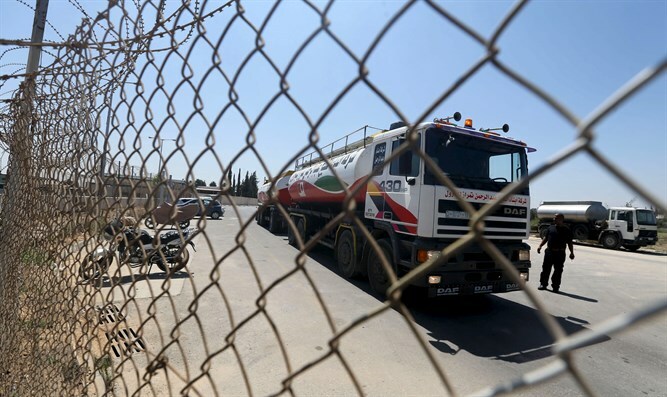 Also Wednesday, the Egyptian government began trucking in industrial-use diesel fuel via the Rafah border crossing to run the Gaza’s one power plant, which had been idle after electricity officials said they could not afford a PA-imposed tax on diesel that doubled the price of operating the plant, according to Maan. Abbas said he would reduce the amount of money the PA pays Israel to supply the electricity by 40 percent, with a concurrent reduction in the amount of electricity delivered. He reportedly made the decision in order to put pressure on Hamas in Gaza.